Lightning-fast and easy to use, ACDSee Photo Manager has everything you need to organize your photos, perfect your shots, and share your memories with friends and family. With ACDSee Photo Manager you can quickly and easily browse and find photos, and fix red-eye, lighting and more with easy-to-use editing tools. · Browse your existing collection instantly. There's no need to waste time importing your photos into a separate library. Access your folders and files live, in real time. Sort, group and filter photos by camera information, edited state or other criteria for super fast scanning. You can also browse by date or event to see photos from a specific occasion. · Create custom categories, add descriptive keywords, edit EXIF and IPTC metadata, and assign ratings to your photos. Tag images with one click and bring them all together for further editing or sharing. You can even organize your photos as you import them from your camera or storage device, saving you even more time. · Find any photo, even if you have thousands in your collection. Enter multi-word keyword phrases like “ski trip” or “birthday party”, search only specific folders, leverage your camera's file information, and find that one special image with the Quick Search bar. Build detailed searches and save them for ongoing use. 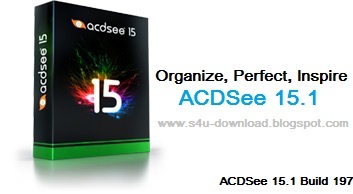 · Bring together over 100 file types into one convenient place. View, manage and get extensive format support for your photos, audio and video clips including BMP, GIF, JPG, PNG, PSD, MP3, MPEG, TIFF, WAV and many others. 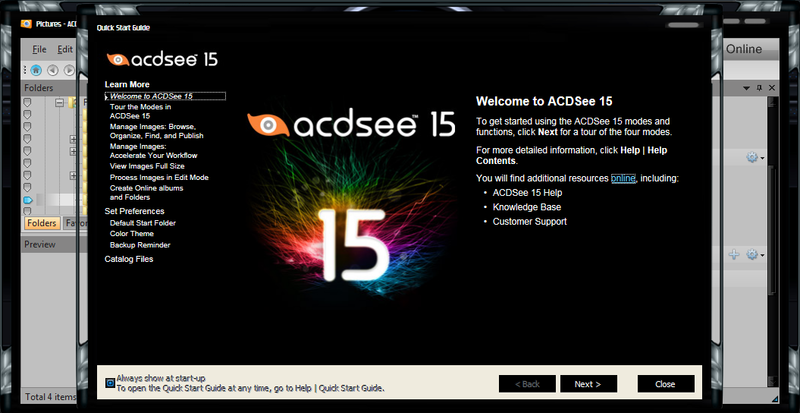 View your files even quicker by setting ACDSee as the default program to open these types of files. 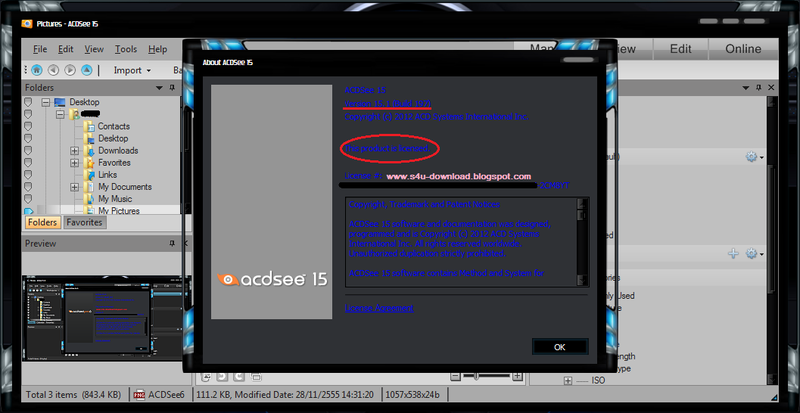 Take a look at the complete list of supported file formats. · Keep copies of your photos in case your computer should fail. Synchronize your folders with an external hard drive or networked drive. Or backup your photos and database information to CD or DVD. You can even schedule automatic backups and reminders.